It's summertime again and tourists have already started packing their bags to visit the beautiful, picturesque hill stations of India. When it comes to the mountains, Uttarakhand is one of the most popular tourist destinations in our country as it offers a magnificent view of the Himalayan mountain range. Uttarakhand is mainly divided into two regions: the Kumaon region and the Pauri Garhwal, and each of these have innumerable tourist attractions. From the Himalayan mountain range, valleys, rivers, trekking points, forests waterfalls to some of the famous temples or pilgrimage sites, Uttarakhand has it all. Here's a list of the top 5 hill stations in the Pauri Garhwal region. Situated at an elevation of 2800 metres above the sea level, Auli is an extremely popular hill station in the Garhwal region of Uttarakhand. It offers a stunning view of the three snow-capped mountain ranges in the Himalayas, such as Nanda Devi, Kamat Kamet and Mana Parvat. Auli also has a wide range of flora and fauna, including huge apple orchards. Tourists visit Auli almost throughout the year as there are a number of religious places in and around Auli. This hill station is also quite famous for trekking. Mussoorie, popularly known as the Queen of Hills, is another popular tourist destination in Uttarakhand. This hill station is quite famous for its breathtaking scenic beauty and adventurous trekking spots. Tourist can enjoy an amazing view of the lofty Himalayan mountain range from The Mall Road and indulge in a little shopping as well. Located at an elevation of about 1950 metres, Tehri is a beautiful and well-planned hill station in Uttarakhand. Tehri Dam is said to be the tallest dam in the country. Tehri, which sits at the confluence of river Bhagirathi and Bhilangna, has another extension of the town which is known as the New Tehri. This hill station is quite famous amongst tourists for its beautiful landscape and natural beauty. Located at a distance of 33 kilometres from Mussoorie, Kanatal is a small hill station with dense forests in the Garhwal region of Uttarakhand. This small hill station is known for its simple rustic appeal and its untouched beauty. Tourists often visit Kanatal to spend some leisure time in serenity and relax amidst the beauty of nature. Located at a height of 1814 metres, Pauri is a nature lover's paradise. The stunning view of the landscape along with the lofty snow-capped mountain peaks makes it an unforgettable experience for the tourists. 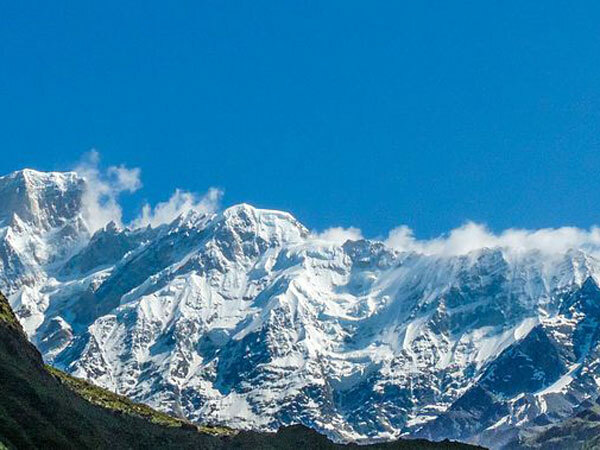 The visitors can catch a glimpse of some of the famous mountain peaks such as the Kedarnath, Neelkanth, Nanda Devi, Gangotri and Bander Punchh from Pauri. If you happen to be stay in Pauri for even one night, don't forget to witness the beautiful sunrise view.